Amatus is the Latin word for loved or beloved, and that’s what my Amatus perfume is designed to evoke – that feeling of warmth, of being held, of falling a little bit head-over-heels into a soul connection. 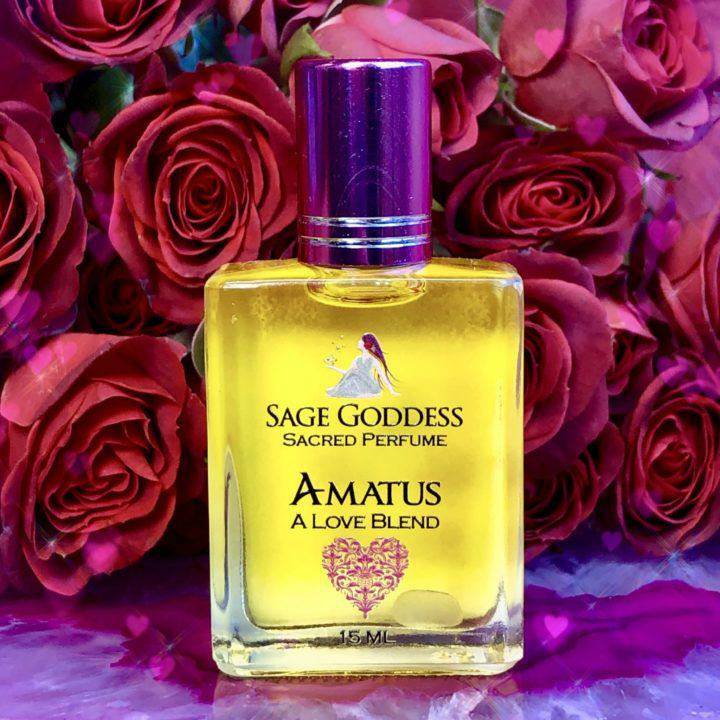 The combination of notes is warm and sensual, which is what a love oil should embody. Wear Amatus as your daily perfume or use it to anoint your stones or sacred candles. As with all my perfumes, this oil blend is made by hand with focus and loving intention for your health and well being. I can’t reveal all of the ingredients in this blend, but it does include notes of Bulgarian rose, Damascus rose, vanilla bean, sandalwood, and orange blossom. Each bottle is infused with rose quartz chip stones, the stone of universal love, for an added dose of heart magic. Anoint yourself with Amatus Perfume before meditation or healing work, or simply wear it throughout the day for loving magic wherever you go. Here’s to helping you manifest true love in your life, in every shape and form. And so it is. This listing is for one (1) 15 ml bottle of Amatus Perfume. Yours will arrive lovingly parceled, ready for enjoyment.